The Music Managers Forum (MMF) presented Daniel Caesar and his managers/producers/co-writers Matthew Burnett and Jordan Evans with the Banner Year Award – sponsored by The SOCAN Foundation – at the 2018 MMF Honour Roll dinner on May 8, at the Bymark Restaurant in downtown Toronto. 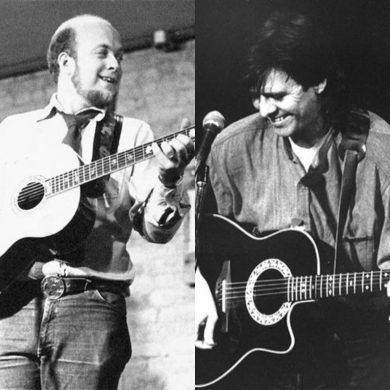 Charlie Wall-Andrews, Executive Director of the Foundation, attended the celebratory dinner, held during Canadian Music Week, where the MMF presented the honour to Caesar and Burnett, though Evans was unable to attend. The award recognizes the meteoric rise of the JUNO-winning, Grammy-nominated R&B and soul singer-songwriter Daniel Caesar this year. Caesar released his critically acclaimed debut album Freudian in 2017. Co-managers Matthew Burnett and Jordan Evans also co-produced the album, and co-wrote several of its songs. Freudian featured the No. 1 Urban AC hit “Get You,” became the No. 1 iTunes R&B/Soul album, and earned national television performances for Caesar in the U.S., on The Late Late Show with James Corden, Late Night with Seth Myers, and one with Chance the Rapper on The Late Show with Stephen Colbert. Two songs, “Get You,” and “First World Problems” even made it onto former U.S. President Barack Obama’s year-end list for 2017. Caesar’s debut world tour is selling out everywhere, including a five-night run at The Danforth Music Hall, in his hometown of Toronto. Others recognized at the 2018 MMF event were manager Susan de Cartier, of Starfish Entertainment, who received the Honour Roll Award, and Live Nation Canada chair Riley O’Connor, who garnered the Brian Chater Pioneer Award. SOCAN congratulates its members Daniel Caesar, Matthew Burnett and Jordan Evans on their latest success! 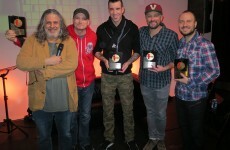 SOCAN presented a 2017 SOCAN Award and two No. 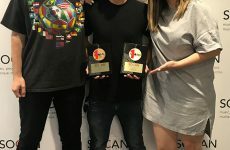 1 Song Awards to representatives of Kobalt Music Publishing U.K., at the SOCAN Toronto offices, on May 10, 2018 – while they were visiting our country during Canadian Music Week, to meet with various organizations with which they’re affiliated. 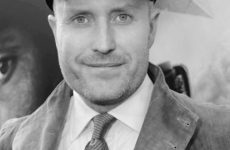 Kobalt was honoured with the International Award from the 2017 Montréal SOCAN Gala, for publishing “Kiss Me,” performed by Olly Murs, and co-written by SOCAN members Yannick Rastogi and Zacharie Raymond, along with Gary Derussy (SACEM), Taio Cruz (PRS), Olly Murs (PRS), Steve Robson (ASCAP), and Lindy Robbins (AMRA). 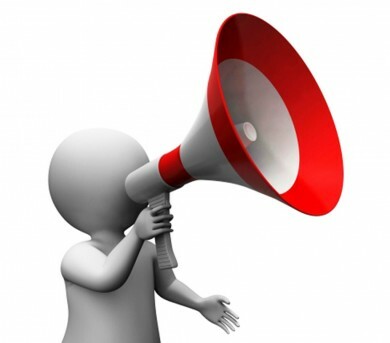 Kobalt was also recognized with a SOCAN No. 1 Song Award for publishing “Bend,” performed by Ria Mae, which topped the CBC Radio 2 Top 20 chart on July 13, 2017. “Bend” was co-written by Ria Mae, Joel Stouffer, Adam King, and Serena Ryder, and co-published by Nettwerk Music Group Inc., and Universal Music Publishing Group Canada. Finally, the publisher was honoured, as well, for their work with “Not Nice,” performed by PARTYNEXTDOOR, which peaked on the MuchMusic Countdown on Jan. 20, 2017. “Not Nice” is co-written by PARTYNEXTDOOR, Drake, Noah “40” Shebib, Paul “Nineteen85” Jefferies, Carlo “Illangelo” Montagnese, Andrew “Dre Skull” Hershey (ASCAP), Dwayne “Supa Dups” Chin-Quee (ASCAP), and Adidja “Vybz Kartel” Palmer (BMI). The song is co-published by Sony/ATV Music Publishing Canada, EMI Music Publishing, and Warner Chappell Music Canada Ltd.
SOCAN CEO Eric Baptiste; Senior Account Executive, Publishers, Daryl Hamilton; and Assistant Manager, Member Accounts, Gary Laranja presented the honours. 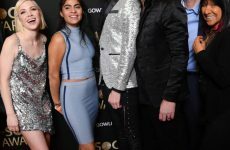 SOCAN congratulates Kobalt on these great successes! Rose Cousins earned the honours for both Album and Folk Recording of the Year, for her critically acclaimed Natural Conclusion, as well as Song of the Year for “Grace,” at the 2018 edition of the East Coast Music Awards (ECMAs), the gala ceremonies of which were held on Thursday, May 3, at the Scotiabank centre in Halifax. Participants at the SOCAN Song House at East Coast Music Week 2018. Left to right. Charlie A’Court, Kayo, SOCAN’s Aidan D’Aoust and Melissa Cameron-Passley, Gee Clarke, Andrew Rodgers, Group Leader Ralph Murphy, Emile Landry, Matt Steele, Stephen Green, Hilary Ladd, Daniel Walker, Rachel Beck, and Jordan Musycyn. SOCAN CEO Eric Baptiste presented Joel Plaskett with the award for Songwriter of the Year (Plaskett also won Studio of the Year for his New Scotland Yard), Andrew Staniland won Classical Composition of the Year for The River Within Us, and the Francophone Recording of the Year was Jacques Jacobus’ Le retour de Jacobus. Venue of the Year was The Carleton Music Bar & Grill in Halifax – proudly Licensed To Play by SOCAN – which has persisted against all odds, under the guidance of Mike Campbell. Besides Plaskett, other double-winners were Atlantic Canadian veteran blues-rocker Matt Minglewood, who won the Fans’ Choice Entertainer of the Year, and whose Fly Like Desperados – his first studio album in more than 10 years – tied with Mike Biggar for Blues Recording of the Year. Opera singer Measha Brueggergosman, originally from Fredericton, earned both the Bucky Adams Memorial Award and Gospel Recording of the Year, for Songs of Freedom. 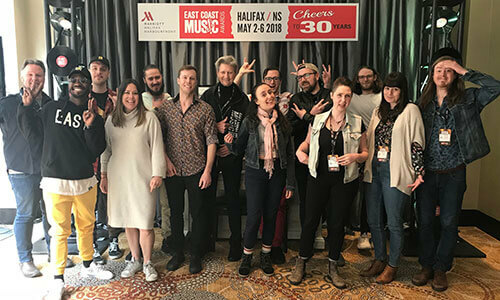 As part of the week leading up to the awards ceremony, renowned, veteran songwriter Ralph Murphy led the SOCAN Song House at East Coast Music Week 2018, May 2-3. Twelve songwriter participants from Atlantic Canada were selected to participate, gaining valuable insight into the craft of writing a hit song. Daniel Walker, Rachel Beck, Emilie Landry, Kayo, Gee Clark, Matt Steele, Jordyn Musycyn, Andrew Rodgers, Stephen Green, Hillary Ladd, Charlie A’Court, Andrew Waite. Rachel Beck enjoys receiving her SOCAN No. 1 Song Award for “Reckless Heart,” presented during the SOCAN “Friends & Family Bash” at the 2018 ECMAs. 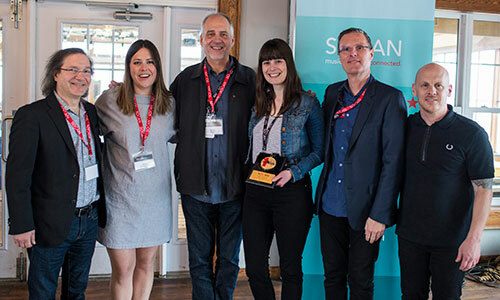 Left to right: Stan Meissner, President and Chair of the SOCAN Board of Directors; SOCAN’s Melissa Cameron-Passley and Michael McCarty; Rachel Beck; SOCAN CEO Eric Baptiste; and SOCAN’s Rodney Murphy. 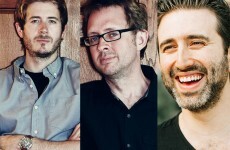 In addition to the workshop, the East Coast Music Awards, in partnership with the Atlantic Presenters Association, will present the second annual SOCAN Song House Tour –a “block booked” tour that features five of the SOCAN Song House workshop’s participants (one from each Atlantic region), and also features the new work developed during the Song House. 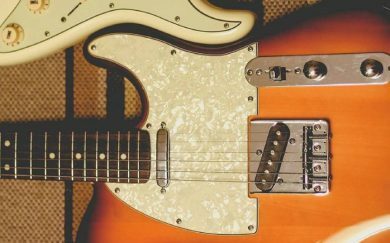 SOCAN presented a Songwriters’ Circle from 2:00 to 5:00 p.m. on Sunday, May 6, in The Schooner Room at Casino Nova Scotia. 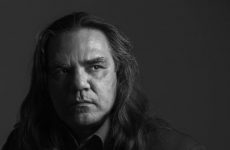 Hosted by Alan Doyle, the session featured engaging songs and captivating stories from Doyle, Rose Cousins, Reeny Smith, Jenn Grant, Carleton Stone (of Port Cities), and Lennie Gallant. SOCAN also hosted a “Friends & Family Bash” on Friday, May 4, from 5:00 to 8:00 p.m. at Murphy’s Restaurant, gathering together our East Coast members and local industry friends. 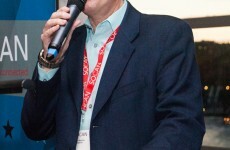 The event included a SOCAN No. 1 Song Award presentation for Song House participant Rachel Beck, whose “Reckless Heart” reaching the top of the CBC Radio 2 Top 20 Chart, on March 8, 2018.